In India, rather than use toilet paper, it is typical to simply use your left hand. 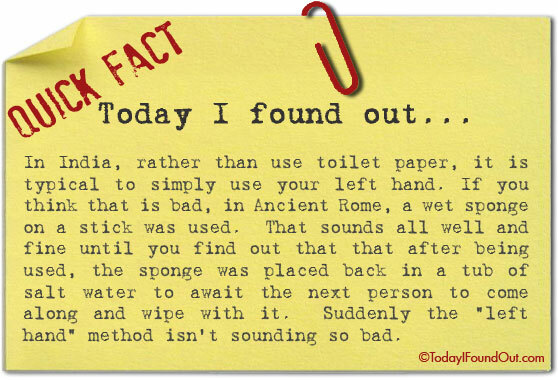 If you think that is bad, in Ancient Rome, a wet sponge on a stick was used. That sounds all well and fine until you find out that that after being used, the sponge was placed back in a tub of salt water to await the next person to come along and wipe with it. Suddenly the “left hand” method isn’t sounding so bad.